At the beginning of my second year, I started hearing the terms ‘Big Four’, and ‘summer vacationer’ floating around my year group. I was unfamiliar with these terms and their implications, and what exactly the internship process involved. This article is a guide to shed light on the application process and how you can best use the resources offered to you by the University. So, what is the Big Four? ‘The Big Four’ refers to the four largest accounting firms in the world: Deloitte, PwC, EY and KPMG. Traditionally known for their auditing services, they have now a range of service lines including advisory and technology. ‘Summer vacationers’ is an Australian term for internships, where you participate in real engagements and immerse yourself in a company’s culture. Positions are available for students each year, and are considered great places to begin corporate career development. First, make sure getting an internship is aligned with your career interests. Depending on your personal goals, there are other avenues that you can explore. 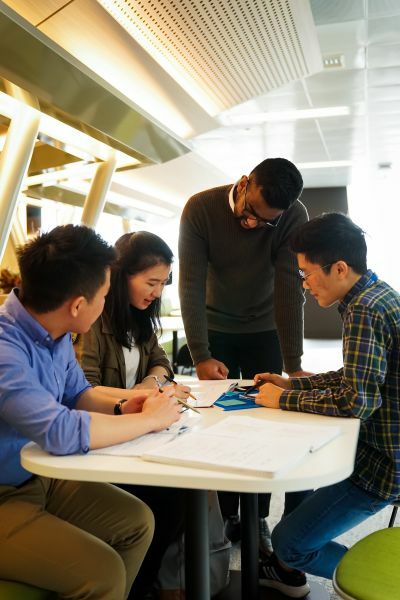 The University of Melbourne (UoM) and the Faculty of Business and Economics (FBE) offer several programs aimed at guiding students toward a career path that’s right for them. Have a look around the career fairs! They’re a great chance to familiarise yourself with potential employers and speak with industry representatives (and collect some freebies of course)! The FBE supports many clubs and societies – why not attend events run by these groups? There are a wide variety on offer, from networking nights or skill-building workshops – these not only provide the opportunity to talk to current industry professionals, but also give you a better idea of what both you and your potential employers are looking for. Perhaps you’d prefer some advice from seasoned industry professionals? The Career Mentoring Program is a great opportunity offered by the Faculty to not only meet new industry professionals, but also other students who are going through the same process as you. Personally, a Big Four internship appealed to me as it presented an opportunity to gain some corporate experience. While university was invaluable for gaining theoretical knowledge, I was keen to apply my skills in a real-world setting. I really enjoyed meeting some EY representatives at one of our careers fairs, so they seemed like a natural choice. Once you have decided on which company you want to work for, some ways that the University can offer support include the workshops run by UoM careers program and STEP. Learn how to set up a LinkedIn, and better present yourself in a professional context. Go to your chosen company’s events, speak to people and gain an understanding of the company’s culture. Have a look at Careers Online or company recruitment pages to understand the company that you want to work for – make sure to tailor your resume and cover letter. Don’t be intimidated by the term ‘assessment centre’! For a Big Four, this typically involves an individual and a group interview. The individual interview is an opportunity to make your passion for the role known, while the group interview is a time for you to show how you work with others. The hardest part for me was the group interview presentation. Before the actual interview, practice with a few friends and refine your answers. However, hopefully the preparation in Step 2 will mean that you are much more comfortable in an actual interview context. I just want to emphasise that while this is a chance for the firm to get to know you, this is an equally important opportunity to gauge whether the firm is a good fit for you. Don’t let the buzz and stress of getting a job get to you. An internship is, after all, an opportunity to experience a potential career path, and if you don’t feel that it is right for you, there are always other pathways you can explore. You can hear more from Grace and other students like her on the University of Melbourne's new podcast, Starting Somewhere. To find out more about studying the Bachelor of Commerce, and the different pathways you can take to your professional future, click here.